Please read before commenting: A very basic overview of some of the main U.S. military rifles since the 18th century. We mainly look at the evolution of the technology in primary issue rifles or rifles similar to them that I happen to own. Since I chat unscripted without a leash for 35 minutes, you can imagine that I have a little clean-up to do. :-) I'll add needed correction here in the description below. 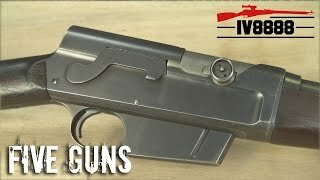 I won't add much elaboration, as this is not meant to be a video about the entire history or everything about these specific firearms; it's more of a basics video, as I state at the beginning, to give folks something of a picture of the major stepping stones in military musket / rifle development through the last 200 + years. Some clarification or further BASIC information: 1. The Brown Bess is a smooth bore musket, like most shotgun barrels. 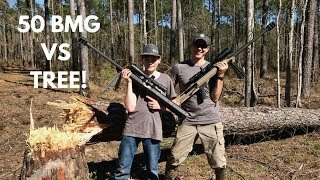 I mistakenly call it a rifle in the video. I don't think I mention it, but the 1858 Enfield used in the Civil War has a rifled barrel, as do all the firearms on the table after the Brown Bess. 2. 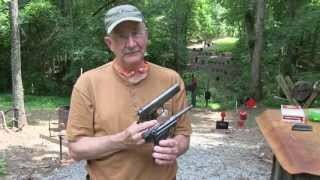 The tubular magazines of lever guns are not safe with pointed bullets. Think about it. 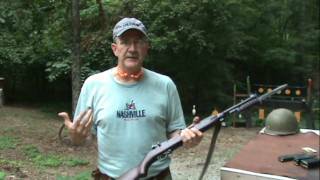 :-) The 1895 Winchester lever gun solved this by not using the tubular magazine, but with most lever guns, we were limited to flatter-nosed bullets. The bolt gun, with rounds stacked on top of one another, allowed as sharp a point on the bullet as we wanted. 3, For some reason (Brain fade), I failed to show you how the Garand loads. 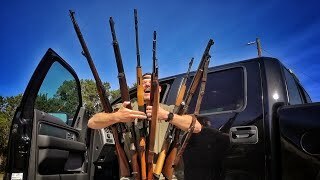 Guess most of you have seen it in the movies, at least, and hopefully, in our Garand videos. :-) 4. I believe Eugene Stoner was developing the AR-10 even before the '60s, but the AR15/M16 did not get into soldiers hands until the '60s, I believe. 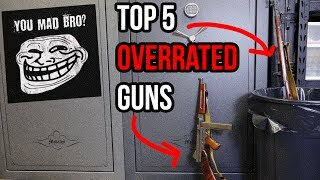 We have videos on all these firearms. Please search from the home page for any of these firearms, and you'll find at least one video, I believe. ------------------- ------------------------ Please visit the Hickok45.com website and check out what the great folks who support us have to offer: BUD’s GUN SHOP, THE NATIONAL RIFLE ASSOCIATION, FEDERAL PREMIUM, SONORAN DESERT INSTITUTE, and TALON GRIPS: http://www.hickok45.com/supporters/ Please consider becoming a Gong Club member at our Patreon Page: https://www.patreon.com/hickok45 JOIN THE NRA at the Hickok45 page and get a nice discount: https://membership.nra.org/Hickok45/Join Hickok45 Store: https://www.bunkerbranding.com/pages/hickok45 Federal Premium: http://www.federalpremium.com/ https://www.facebook.com/federalpremiumammo SDI (Sonoran Desert Institute): http://www.sdi.edu/ Talon Grips: https://talongungrips.com/ UPCOMING “MEET & GREETS” NRA Annual Meeting in Indianapolis, Indiana Friday, April 26th: Sonoran Desert Institute booth 11:00 to Noon. Friday, April 26th: NRAFFF (Firearms for Freedom) booth 2:00 – 3:00. 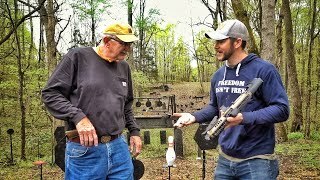 Saturday, April 27th: Federal Premium booth 10:30 – Noon Saturday, July 20th: Nashville Gun & Knife 1-3 ALSO, ALL our videos are on GunStreamer.com: https://gunstreamer.com/@Hickok45 The short FAQ Videos playlist will answer most questions you have. 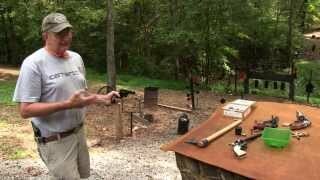 Find us on Hickok45 Twitter and Facebook, as well as “therealHickok45” on Instagram. NOTE: All shooting in our videos is done by professional shooters for instructional and entertainment purposes, with an emphasis on safety and responsible gun ownership. Do not attempt to copy at home anything you see in our videos. Firearms can be extremely dangerous if not used safely. (Note: These descriptions were last updated on 3-31-19). 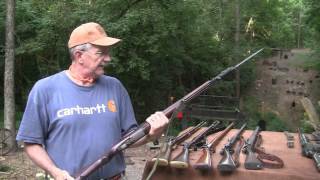 Related Videos "U.S. Military Rifles since 1776"